I got a snapshot before Lemon pulled the ranking system. Someone get me a coffee. Two sugars, no milk. If I wanted to shoot a pony, what sort of gun should I use? Just to clarify, I don't mean a cartoon pony. I mean like a welsh or shetland pony. For self defense, of course. Next rank kicks in at 500 posts. Get cracking, Isfahan. 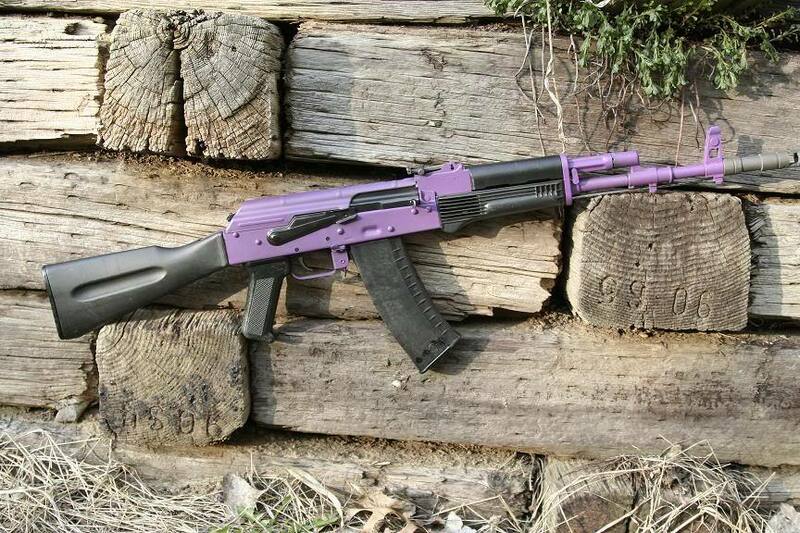 Cartoon pony or not, the gun you're gonna want is an AK, definitely. 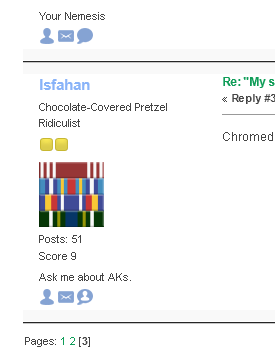 In fact, I'll probably be recommending an AK whenever someone asks me what gun would be good for x, where x equals an activity of any kind. Is that gun entirely plastic? Can I get it through a metal detector? Can I get plastic ammo for it? There's a metal detector at the high school dance I'm going to on Friday and I'm worried there may be ponies there. You know, I've been suspecting something fishy is going on for a while now. How the hell does everyone else only have two or three likes, but Isfahan is consistently at eight or nine? I'm calling shenanigans and demanding a recount. Bring democracy back to Fplus or I'm starting the Ballp.it separation movement. Or maybe everyone is just scared shitless by the guy who didn't even take day before he derailed a thread by talking about guns. EDIT: Okay, fine. Victor has 12 but he's been shamelessly whoring for votes the second the forum came online. Wait, there is a ranking system? Okay, fine. Victor has 12 but he's been shamelessly whoring for votes the second the forum came online. Hey, I object to you calling it whoring. That implies that I am offering something in return. Now get those thumbs out and get them up as far as you can already. No, it's a finish called Duracoat and it's like moly-resin in that its color can—oh. Because I am awesome and lovable and everyone likes me and wants me to be happy just like I want them to be happy. Do you choose to chew goo too, sir? Plus, all the ladies know that he's like crazy hot. I plead the fifth on that. It's the gracious thing to do.